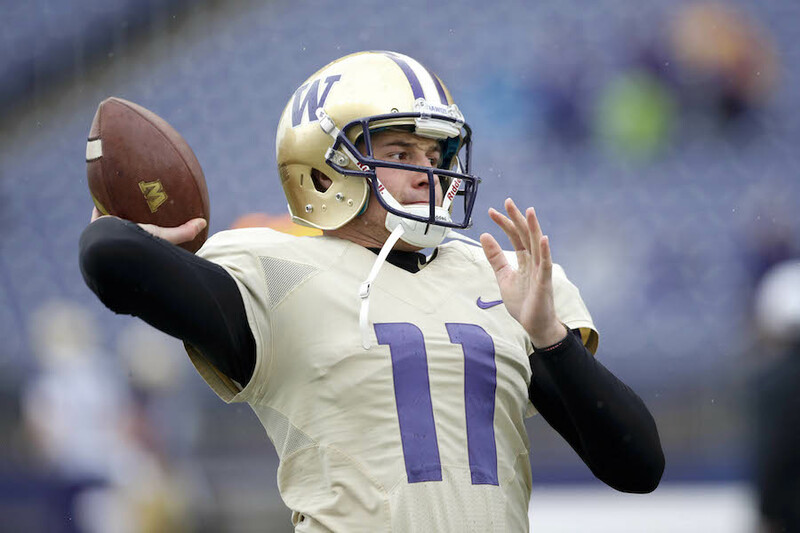 Colorado State head football coach Mike Bobo announced today that former University of Washington quarterback K.J. Carta-Samuels has transferred to CSU. Carta-Samuels will enroll in graduate school at Colorado State and will be eligible to play for the 2018 campaign with one season remaining. The Saratoga, Calif., native spent 2014-17 on the roster with the Huskies, where he completed 27-of-47 passes for 310 yards and three touchdowns over 25 career appearances, primarily as the backup to 2016 Pac-12 Offensive Player of the Year and Manning Award finalist Jake Browning. The 6-foot-2, 200-pound signal-caller was one of the top-rated players at his position in the nation coming out of Bellarmine Prep in San Jose, Calif., and was rated the No. 10 pro-style quarterback in the country by rivals.com. He also was considered a top-25 prospect at the position by ESPN and Scout.com, and chose Washington over offers from Arizona, Penn State, Vanderbilt and Boise State. Alabama and Wisconsin also had interest in the first-team All-West Catholic Athletic League quarterback. Carta-Samuels is no stranger to big-game environments. He led a scoring drive late in a win over No. 7 Stanford in 2016 and appeared in the CFP semifinals against Alabama later that season. Carta-Samuels made his collegiate debut as a redshirt freshman for Washington against Boise State in 2015, and made his first start at Stanford that same year. K.J.’s older brother, Austyn, was the starting quarterback at Vanderbilt in 2013 after transferring from Wyoming prior to the 2012 season. Their father, James, played at Utah State.